How much is Jamie Hector Worth? 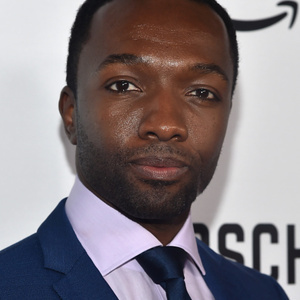 Jamie Hector Net Worth: Jamie Hector is an American actor who has a net worth of $2 million. Jamie Hector was born in 1975 in Brooklyn, New York. He broke into acting right after his high school graduation, appearing in several stage productions. Hector's debut came in the 1998 film "He Got Game". His early TV appearances include episodes of "The Beat", "Law & Order", "Third Watch", and "Law & Order: Special Victims Unit". In 2004, he landed the part of drug kingpin Marlo Stanfield on the hit HBO drama series "The Wire" alongside several famed actors, including Dominic West, John Doman, Idris Elba, Frankie Faison, and Larry Gilliard, Jr. After 2008, Hector has appeared in "Jericho", "The Game", "Heroes", "Cold Case", "Lie to Me", "CSI: Miami", "Common Law", "TRON: Uprising", "Quarry", "Mercy", "Bosch", "Power", and "The Strain". Hector is also credited in more than two-dozen short films and movies, including "Ghost Dog", "The Day the Ponies Come Back", "Prison Song", "Paid in Full", "Five Deep Breaths", "Everyday People", "Brooklyn Bound", "Blackout", "Max Payne", "Just Another Day", "Night Catches Us", A Feeling From Within", "The Promise Keeper", "Real New York City Muggins", and "A Year and Change". Hector is heavily involved in community outreach programs and serves as a youth mentor with Moving Mountains. He was also part of several fundraising efforts for the Haiti earthquake.